So Mother's Day. Yeah, it's practically three weeks away! While I love brunch as much as the next gal, I love an adventure with my favorite people just as much. Hook up the bike trailer or break out the training wheels and go for a family cruise. Whether it's around the neighborhood, to the park or beach the goal it to get outside, exercise and have fun! Really just get away somewhere fun for the weekend beach, lake mountains, etc. We're about 3.5-4 hours to the coast so it makes for the perfect weekend getaway. Spend the weekend exploring, shopping, and eating tasty food. YES, please! I'll take a soy latte and avocado, bacon egg scramble. It's a prefect way to start any Sunday. I personally would follow breakfast with a bike ride. For the family who likes to cook take a class and try something new. I suggest finding someone who can come to you! If you're in the Tahoe area I suggest hiring my Arica from Yummy Fixins. She'll teach you how to make the most amazing pasta dish or two! Get out and enjoy the great outdoors. Don't forget to snap some family photos. There you have it a few fun ways to spend Mother's day. 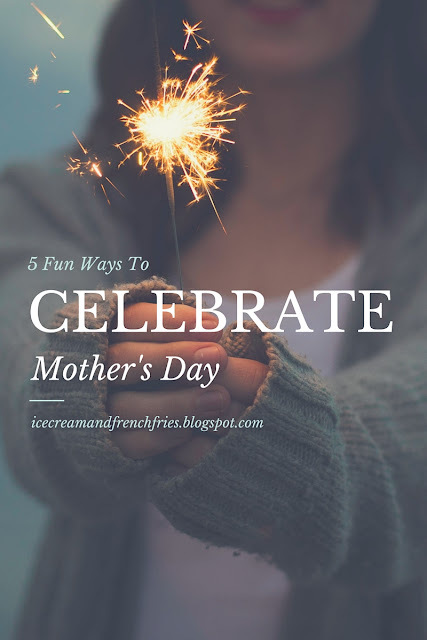 How do you plan to celebrate mom? I'll take a massage any day of the week! We hooked up the trailer for the first time last weekend. Emerson loved it! Can't wait for summer beach days. Great list! Breakfast in bed is always an appreciated one! I love the idea of a family hike or a bike ride. Brunch on Mother's Day is just too crazy for me.